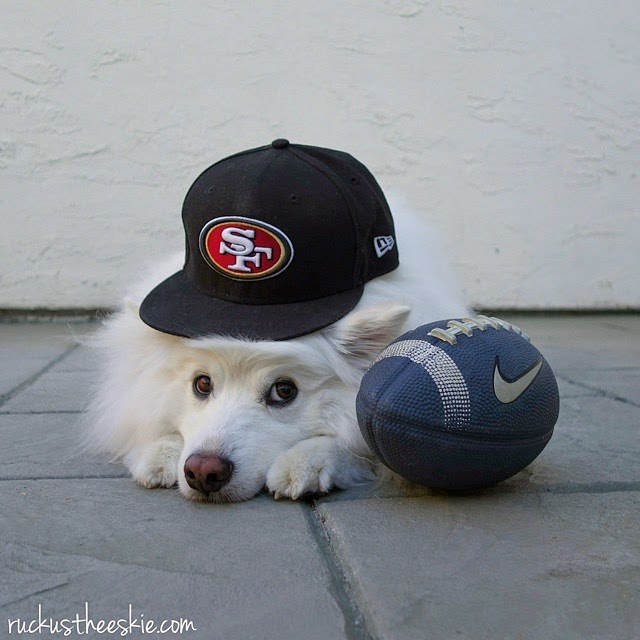 Ruckus the Eskie: Thoughtless Thursday #108: Are You Ready For No Football? Thoughtless Thursday #108: Are You Ready For No Football? Super Bowl is over with, but maybe we'll see the Niners getting their groove back next season! Da Cowboys shure need some different mojo for next season too! Love that look you got there Ruckus! Can you catch that ball, Ruckus?